Signal quality and wireless reception can vary greatly at RV parks and campgrounds, which can be a hassle when you’re out and still need to stay connected. Working off a wireless network can also cause security issues, especially when using a network is unfamiliar. 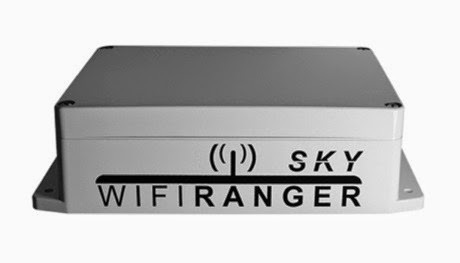 The WiFiRanger Sky is a signal booster that has a range of 2500 ft and can create the convenience of working off a wireless network, while still being secure. The WiFiRanger Sky is able to give a strong signal to different devices at the same time, including laptops, tablets and smartphones. Security features include a built-in firewall for the public network, as well as encryption for the private network that is created between personal devices. All WiFi capable devices can work off the network using just one login, saving time and effort. The Sky can be mounted on an RV roof, as it is able to stand up to varying weather conditions as well as the general stresses of being on the road. It features an internal antenna that is kept safe from outside elements by the surrounding case. 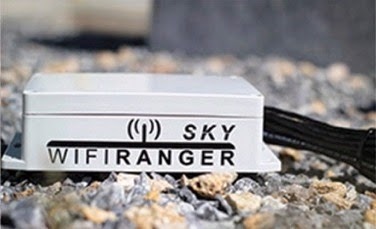 Using the WiFiRanger Sky is simple to operate and easy to learn. It will provide you with faster surfing and higher data transference rates, due to the stronger signal. This makes it easier to download files or stream audio/video files. Higher security creates less of a risk as you browse. The Sky signal booster will also save you from having to create a hotspot from a mobile device.